Teaching at Our Lady Star of the Sea since 2017. 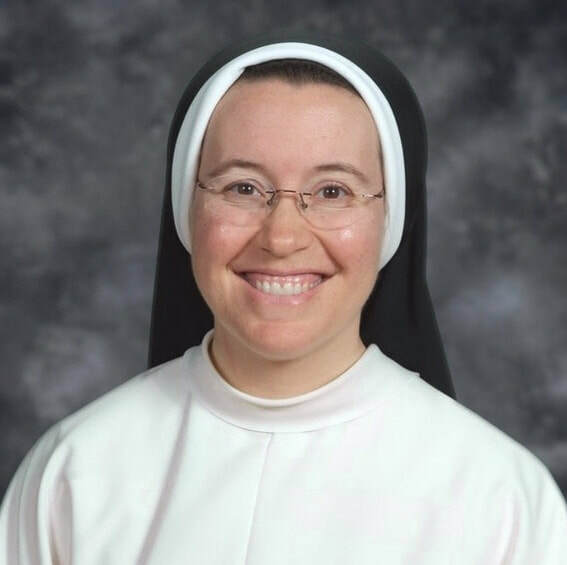 Originally from Syracuse, NY, Sr. Mariana joined the Dominican Sisters of St. Cecilia (Nashville, TN) in 2005. Prior to entering the convent, she received a B.S. in education from SUNY Geneseo and a M.A. in education from Franciscan University of Steubenville. She has taught at schools in Nashville and St. Louis, and is very excited that the Lord has brought her to the Pacific Northwest to serve at Our Lady Star of the Sea. Our Lady and St. Dominic, pray for us! Positive, developmentally appropriate environment; many opportunities to be active learners. Religion: Prayer and reference to God, and the three persons in one God (Holy Trinity) are integrated throughout the day. The goal/expectation is to foster in children a sense of respect for God, all of God’s creations, and traditions of the Catholic Church. Reading and Language: Students develop pre-reading and reading skills by participating in a language experience approach: speaking, listening, reading and writing are integrated throughout the curriculum. Mathematics: Students will develop skills and practice a hands-on approach using concrete objects to identify and solve mathematical problems: sorting, classifying, learning to recognize and develop patterns, counting, measuring, and graphing concrete objects that are meaningful to the world of kindergarten students. Social Studies: Students will explore their relationship to others, their country, and their world, integrated throughout the curriculum using a theme approach. Science: Students will find out about themselves and the world by asking questions, observing, experimenting, organizing information, and drawing conclusions using a theme approach. Art: Students will have opportunities to observe and create using a variety of art materials, which will include exploration of color, texture, form, and expression of ideas, integrated with other subjects. Music: Students will have formal music instruction twice weekly with a Music Specialist. In addition, the curriculum and classroom themes will be enhanced with musical experiences, including religious and secular music. Physical Education: Students will have formal instruction twice weekly with a P.E. Specialist. In class and during recess, students will also be expected to participate in activities involving motor skills, teamwork and sportsmanship.